ERP or Enterprise Resource Planning is the thread that bounds all the critical elements of business together. Nowadays, there are various ERP software applications available in the market that help you in managing your business process. One of the most prominent ERP software available in the market today is Sage 300 ERP. From construction to manufacturing, it is the preferred choice of every industry. 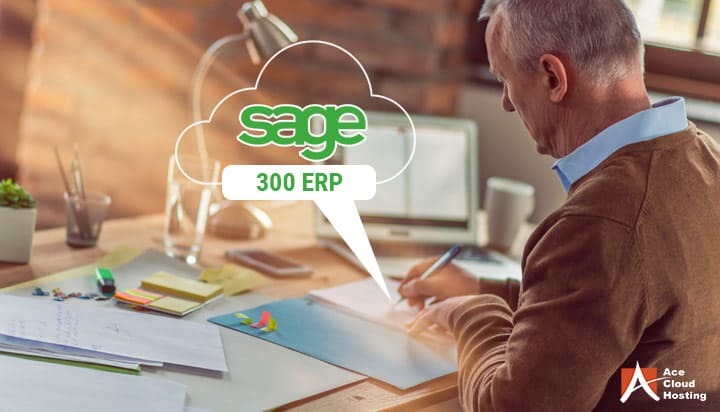 The Sage 300 ERP software enables you to access all the business processes necessary for your business to function on a single platform. Keeping track of orders, real-time inventory status, automating your finances, and managing payments are only some of the various features that the ERP software offers. However, it is also necessary to consider that when any software is installed on any platform, its capabilities are bound by the restrictions of the same. Hence, when the Sage 300 ERP software is installed on your local PC, the hardware specifications of your PC defines its performance. If your local PC has other applications installed in it, the resources needed for Sage 300 ERP to function optimally can be insufficient. Additionally, the performance also depends on the local infrastructure that supports the PC such as cooling, power, and network equipment. For years, the businesses were looking for a better environment to optimize their business process. Here is where cloud computing came to the rescue. The cloud environment eliminates all the operational bottlenecks of the local setup and offers many additional benefits. Let us have a look at some of these benefits and how they enhance the way Sage 300 ERP functions. With Sage 300 ERP cloud hosting, you can introduce mobility into your business operations. In today’s fast and interconnected world, it is almost impossible to handle business operations while sitting behind a desk. There are situations where you have to attend an event like a business summit or a conference. Or you might be sick or stuck in traffic. In all these situations, there is no way you can keep track of your business while your software is installed on the local system. It calls for a better solution to access your Sage 300 ERP when you are out of office. The answer comes in the form of cloud hosting. When your Sage 300 ERP is hosted on the cloud, it can be accessed anytime and anywhere through portable devices like smartphones. The ability to work remotely and be close to your process at all times leads to high productivity and less mental stress of trying to reach the office. All the hassles related to hardware are eliminated with Sage 300 ERP cloud hosting. The hassles referred to here are the same that you experience every day in your office. The malfunction of local PCs is a common occurrence which can be fixed only by hardware replacement. Moreover, if you want to upgrade the hardware, i.e. add more resources like RAM, storage, or processing capabilities, it can be done by manual hardware replacement only. All these issues are directly proportional to the requirement of IT professionals. The more staff you employ, the more is the related costs and worries. When Sage 300 ERP is hosted in the cloud environment of the hosting providers, they take care of all the hardware-related issues as the hardware is present in their remote data centers. Hence, you have valuable time available to focus on other aspects of your business. Sage 300 ERP software contains the data of multiple business processes on the same platform. However, the data stored on the local setup is subject to be lost or stolen due to the limited security safeguards in a local setup. For instance, the malfunction of the hard disk storing the data can cause data loss. You can certainly back up your data on multiple storage devices. However, it leads to high capital expenses of redundant infrastructure. In the case of Sage 300 ERP hosting, the cloud providers already install redundant infrastructure in their data centers. Another main concern for businesses is the cyberattacks that are rampant nowadays. The major Sage 300 ERP hosting providers ensure that the traffic is thoroughly analyzed and filtered before being incident on their server. To ensure the same, they deploy security safeguards like data encryption, multi-factor authentication, Intrusion Detection and Prevention System (IDS & IPS), access controls, among others. Support is the main parameter against which all the Sage 300 ERP hosting providers are analyzed. A reliable customer support ensures that you relieved of all the worries related to the technological aspect of your business. It eliminates the need for an extensive IT workforce at your office premises. The Sage ERP cloud hosting providers offer 24/7 support to all the customers which ensure that you are never left unattended in the case of any issues. Low resolution and response time are necessary to make sure that all the issues are resolved successfully and on time. Total Availability refers to the condition where your Sage 300 ERP is functional and available to you at all times. The cloud hosting providers available in the market offer a guaranteed uptime in their SLA. The uptime value is the duration that the Sage 300 ERP software will be available to you. For instance, Ace Cloud Hosting offers an SLA-guaranteed uptime of 99.999% which means downtime of fewer than six minutes in a year. The total availability is achieved through a seamless network of high-performance servers and state-of-the-art infrastructure. The advanced security safeguards are essential to secure your data against any unauthorized access and cyberattacks. However, certain circumstances are unavoidable and cause the loss of data. These are called disruptive events and can be anything from earthquakes to fires. Hence, the necessary steps should be taken to protect the integrity of data during these events. The cloud providers implement a Business Continuity and Disaster Recovery (BCDR) plan that ensures complete data protection. The Business Continuity process comprises the necessary measures that should be taken to identify and prevent and disruptive event by thorough risk and crisis management. Disaster Recovery, on the other hand, ensures backup of data on redundant servers in multiple geographic locations to easy recovery. No technology can be considered as an option if it does not fit your budget. The same case applied to cloud technology. If cloud technology is not able to fulfill your requirement under affordable prices, you will not even think of migrating your Sage 300 ERP software to the cloud. However, hosting Sage 300 ERP on the cloud is the most-efficient option available in the market. Firstly, it reduces the cost of capital as well as operational expenses. As there is no need for high-performance hardware in your local setup, the Capital Expenses (CAPEX) are reduced significantly. Secondly, the operational side of the process like migration, setup, maintenance, and scaling are all taken care of by the cloud hosting provider reducing the Operational Expenses (OPEX). 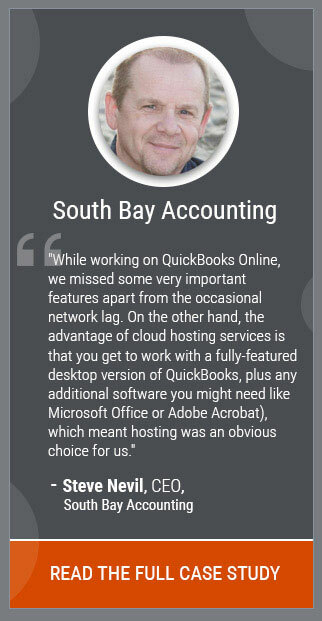 Thirdly, since the cloud providers charge you on a pay-as-you-use basis, you pay only for the resources you use. Sage 300 ERP on the cloud is a complete package your business needs to get a clear view of all the processes together and optimize decision-making. When the ERP software is integrated with the cloud environment, the product is a mobile, scalable, and secure ERP solution. With Sage 300 ERP on the cloud, the business processes can be accessed from a remote location with portable devices and the Internet. You do not need to worry about the hardware-related issues as the Sage 300 ERP software and data is stored in remote cloud servers. The hosting services offered by the cloud providers include BCDR plan to ensure that your data is always protected, even during a disaster. They also guarantee an uptime value so that your business process is always available to you. A 24/7 support is offered by the providers to resolve all your issues before it impacts the business. 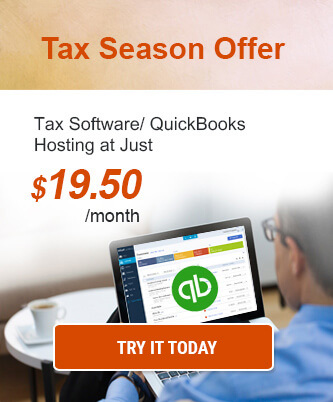 The hardware-independent solutions offered by the cloud helps save capital expenses. Moreover, as the hosting providers are responsible for setup, migration, and maintenance of the software and data, the operational expenses are also minimized. 6 Reasons Why Your Business Absolutely Needs Sage 500 ERP Hosting 7 Reasons to Host Sage 300 CRE Management Software on the Cloud 9 Ways Cloud ERP Can Turbocharge Your Business Why Should You Host Your Sage 100 ERP System on Cloud? The uptime is crucial as even a single minute of downtime can make or break your business. Local infrastructure goes down as soon as there is an issue with electricity, internet or anything else. Cloud avoids that. Spending money on the maintenance and repairs of the hardware is very irritating for anybody in any industry. I believe with the cloud, comes the freedom to work to work on smartphones that reduces hardware dependency.